Kacey sounded good. The venue was amazing. While I understand why, it was very disappointing that she played so few of the songs that made us love her in the first place. Amazing. My daughter Madeline (11) and her dad went as a Christmas gift to her from him. They had the best time. I had sincere fomo because the pictures and videos looked amazing. Her show was amazing, 10/10 would recommend seeing her live, she’s so much more beautiful in person. That’s why Iam going again to her show in September, I can’t wait! Kacey our on an amazing show. Great venue, love the merchandise. But the time was so late! Brought my 7 year old(her first concert!) and she was so excited. But she was only awake for the first 3 songs then fell asleep. 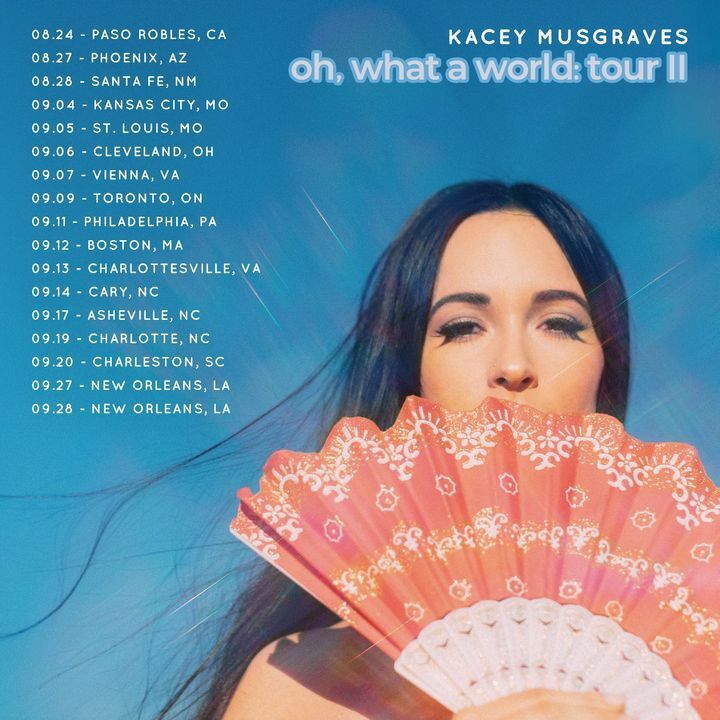 Kacey is a must see concert for anyone that likes music that gets into your soul and speaks to you. However, I may be bias due to my playing her songs on repeat since 2013. She is a great performer! Sounds great and really works the stage. However, she played her whole third album and four songs from her first two albums, so there was not much variety. I understand that she was promoting this album but it would have been nice to hear more songs from her other albums. I plan on seeing her again but it won't be at Palace Theater. The venue is horrible. If you're a shorter person you won't see a thing.